Completing the Free Application for Federal Student Aid (FAFSA) will allow schools to award you grants and scholarships such as the Pell Grant (up to $5,815/year) and HOPE Scholarship (covers ~80% of tuition). When filling out the FAFSA, you and your parent will be asked for background information, school (high school and college) information, along with financial and tax information. 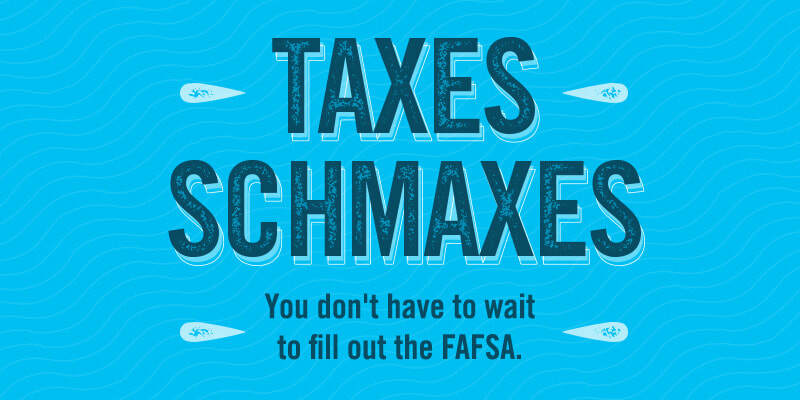 ​This year, the FAFSA will open on October 1st. The earlier you complete the application, the more money that may be available to be awarded to you. Below are the three easy steps required to complete all parts of the application successfully. The first step to the FAFSA is creating a login. This is called the FSA ID. This will allow you to log into your application as well as sign your FAFSA when you've finished. Both you and your parent(s) must create your own FSA ID accounts. Once you and your parent have each created an FSA ID, log into the FAFSA using your student account and begin your application for the 2018-2019 year. Make sure you know all the colleges you've applied to and the home address on your parent's 2016 taxes. After you have successfully completed your FAFSA, your Student Aid Report (SAR) will be available. On this PDF, you will find your Expected Family Contribution (EFC) and whether you were awarded the Pell Grant. Save this PDF to submit to scholarships. Step 2: Click the "View or Print Your Student Aid Report"